Raising a child with Attention Deficit Hyperactivity Disorder (ADHD) brings a unique set of gifts, rewards, and challenges. As any parent of a child with ADHD already knows, there will be good days and bad. You will struggle with difficult decisions, such as whether or not to medicate your child. Throughout your parenthood journey, you will also find alternative therapies that work remarkably well for your child’s unique needs. Music provides structure. It includes a definite beginning, middle, and end. This soothes the ADHD mind, teaching children to focus, anticipate, and react. Music increases dopamine levels. ADHD brains are typically low on this neurotransmitter, which regulates cognitive processes including working memory, attention, and motivation. Stimulating the brain through music can improve these functions over time. Music improves social skills. In addition to extensively activating the brain, music teaches children to pay attention to those around them. While collaborating with others in a choir or musical ensemble, children of all ages can learn to notice social clues, anticipate upcoming changes, and listen to what is happening around them. Some experts might argue that the healing potential of music should come as no surprise. In his book, Musicophilia, the late author, Oliver Sacks, M.D., recounted how music has profoundly helped his patients over the years. As both a musician and a neurologist himself, Sacks explained that the brain doesn’t have one single musical “center.” Instead, we analyze music using 20 to 30 separate networks spread across all regions of the brain. Some of these networks are responsible for processing the pitch of a song, for instance, while others might process the song’s melody. It’s also important to note that music is helpful for a plethora of conditions besides ADHD. In his own work with his patients, Sacks often noticed the benefits of music therapy for a variety of conditions affecting the human brain. These conditions ranged from Alzheimer’s to Parkinson’s, from autism to Tourette syndrome – just to name a few. Given that music therapy has the power to help the human brain in such deeply healing ways, it certainly doesn’t hurt to give it a try if you have a child living with ADHD. Turn off the television at a certain time each evening and listen to music together as a family. Use rhythm to your advantage. Play upbeat music in the mornings to help your family wake up and build energy. At night, switch to slow, soothing music to help your child get ready for bed. Play the right music. Just like rhythm, the style or genre of music is important. Certain types of music work best for children with ADHD. For instance, classical music is good for concentration while pop music can help relieve stress. 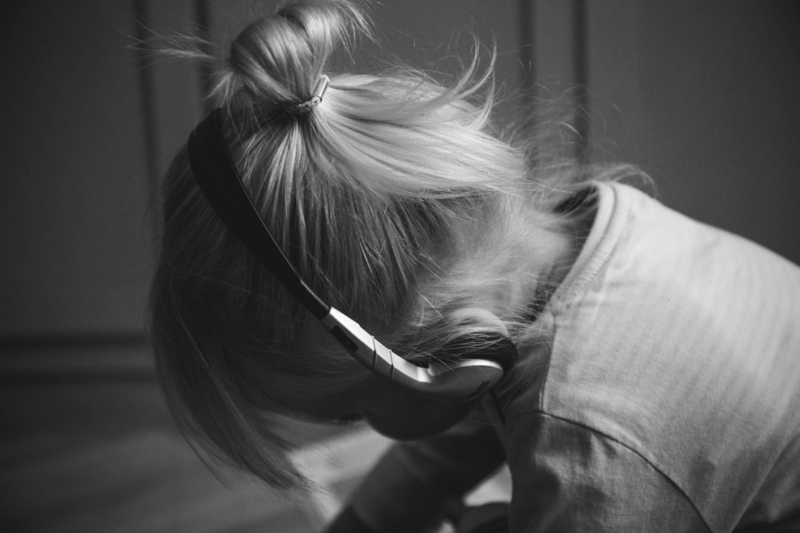 Try these free playlists, which were handpicked for kids with ADHD. Make it collaborative. Use your child’s favorite songs, artists and styles to your advantage. Need to grab her attention? Play a Katy Perry song and sing along. Want to teach him to focus? Create a song together using a hang (handpan) drum. Buy an instrument. Children with ADHD enjoy being able to move while playing instruments. Instead of piano lessons, you could purchase your child a saxophone, clarinet or trumpet as these instruments provide more freedom for your child to move and groove. Before purchasing an instrument, it’s helpful to do some research. For instance, check a clarinet buying guide prior to investing in a clarinet. This will ensure you get a great deal on the best instrument for your child. At the end of the day, all children with ADHD are unique and no single method will succeed with all children. If your child focuses better in silence, that’s okay. That being said, music therapy has indeed shown promise for many children. It is up to you to do your research, be willing to experiment, and make an informed decision about what works best for the needs of your family and your child. Charles created HealingSounds.info. He believes in the power of music and sound as a healing tool. Free videos and a digital goody bag! Whether you’ve been recently diagnosed with ADHD, love someone affected by ADHD or simply want to learn more about ADHD it can be extremely daunting to discover the sheer volume of information that’s out there and available to you. That’s why one of the voices of the ADHD population on the internet created the ADHD Awareness Expo – a virtual gathering of ADHD Experts, professional ADHD coaches, service providers and authors, gathered all in one virtual space to make your information gathering as easy as heading to a department store. The 8th annual ADHD Awareness Expo was held the week of October 1st through October 7th. It was held virtually and the videos are still posted through the end of October! With over 30 videos, I’m sure you will find useful information. You’ll see one from me on essential oils. There is even a digital goody bag with lots of free downloads. I’d love to “see” you there! Just follow the link to register and claim your free spot to attend. Are you ready to get started with feeling more confident and more successful? No more excuses or putting it off. No more thinking it can’t happen. Or that we can’t be as successful as somebody else. Success is as unique as you are. And while we each have our own definitions of what that success would look like for us, there are secrets – tools and information – that can help you get there. Which is why I am excited to tell you about the 2016 Succeed with ADHD Telesummit where Laurie Dupar and over 20 ADHD world professionals and experts will share with you some of their extra ordinary secrets to succeed with ADHD. Interested? Be sure to save your seat at the Succeed with ADHD Telesummit. Questions? No problem! 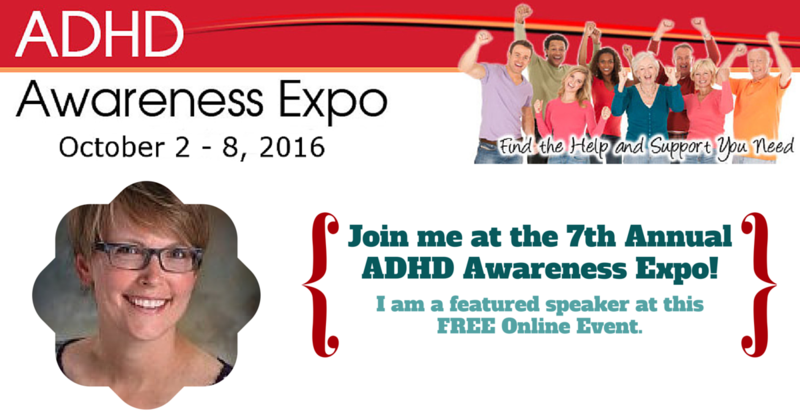 Email Laurie and her team at support@coachingforadhd.com. They are happy to answer them.